Zahra is an educator, lawyer, humanitarian and advocate. She was founder and managing director of Blossom Education, where she and her team educated more than 1,500 students each year. Blossom is founded on the ‘triple PPP approach’, which places equal emphasis on people, planet and prosperity. Blossom won multiple awards, including Best Early Education Provider, Arabia CSR Award, Dubai SME 100 and Best Nursery. 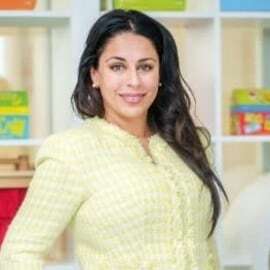 Blossom merged with Babilou in July 2017 and Zahra was the chief executive of the company for the Middle East embarking on a strong growth programme until July 2018. She has now set up www.lettuceplay.org, focusing on play-oriented education in the early years.